Anti Spy Mobile - detects and removes spy apps on your Android mobile. Don't let your mobile be spied ! A powerful tool that displays and monitors (tracks) all inbound and outbound connection from and to your Android device. Perfect for finding custom made spywares! Try it now for FREE !! Get A FREE Scanner NOW! 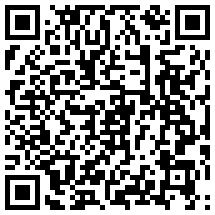 Scan the QR Code on the left or click here and get a FREE scanner now from Google Play NOW! "As spyware and permissions have been the talk of the Google Play Store before, an application like this is definitely something the app downloading aficionado should check out." "With banking, e-mail, and various other sensitive data now passing through our smartphone and tablet devices, it is of paramount importance that you arm them against the unscrupulous individuals behind the malware, so be sure to download Anti Spy Mobile...""
"Not every app on the Google Play store is safe, and some of them could be collecting all sorts of information from your device for some nefarious and dastardly end. Some discriminating device users will avoid apps that ask for … What are you waiting for? Protect yourself from spyware and unauthorized spy-able permissions."" "In order to help users identify such problematic apps on their devices, here comes the most powerful ‘Anti Spy Mobile Free’ app. This is a free android app, which scans your device for the spyware applications, searches your device’s installed programs, list out the suspicious software in your device and removes it for you." "In fact, some fake apps with the same name spread viruses on different devices like a few days ago a fake Instagram app found that infect the device will different malwares. But if you have AntiSpy app, you should not be worried about these kind of apps... So now you’re able to get rid of viruses and malwares. It’s completely free app ... "
"... After all, with apps requesting all kinds of permissions, how is it possible to tell what might be sketchy and what isn’t? That’s where Anti Spy Mobile Pro comes in. The app does a scan of apps that are currently installed on the device, and then alerts the user as to what is active malware, and what just has suspicious permissions ... "